Tag Archives for " Claudia Santiago "
The Daily Livestream Update for November 9, 2016. Hosted by LivestreamUniverse.com editor Ross Brand. Melissa Reyes talks about Smiletime’s integration of FB Live comments and Jennie Mustafa-Julock shares what she likes about commenting on FB Live with BeLive.tv. Plus our highly-recommended shows with Joel Comm, Dan Nickerson, Rachel Moore, The Live Fronts, Rj Redden, Stacy Lynn, Mitch Jackson, Jennifer Edwards Hoverstad, Claudia Santiago, Wagner dos Santos, Jennifer Quinn, Glenn Dawson, Sammi Tucker – Public Speaker & Paralympic Archer. The Daily Livestream Update for November 8, 2016. Hosted by LivestreamUniverse.com editor Ross Brand. Steven Healey discusses his new book on livestraming and Bree Kelley talks about small and large businesses doing live video right. 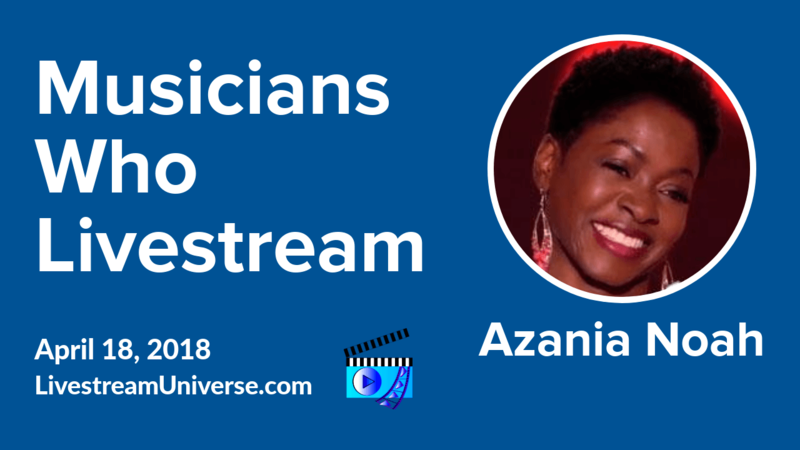 Plus highly-recommended broadcasts featuring Wendy Futrell Fore, Chef Katrina, Terry Johnson, Terrilena Austin, Francine Gregory, Chris Barrows, Amir Zonozi, Rj Redden, Claudia Santiago, Melissa Reyes, Dr. Margaret Rutherford, Mitch Jackson and Jennifer Edwards Hoverstad.